With our Spartan Challenge Necklace, let the world know that you or someone you know have participated in the Spartan team challenge. Or, if you just like the ancient Spartans and Greeks, then sport this to show your allegiance! This one was almost 1 inch tall and 1 inch wide, but it would be made larger and probably come out even better. The Spartan Challenge Necklace can be cast in Bronze, Brass, Copper, Sterling or Argentium Silver, white, yellow, or rose Gold, Palladium or Platinum. The black is made with enamel, which is semi-permanent and only damaged by heat and solvents like acetone. The starting price is for a Spartan Challenge Necklace in Sterling Silver. Click HERE to see another of our custom pendant designs. 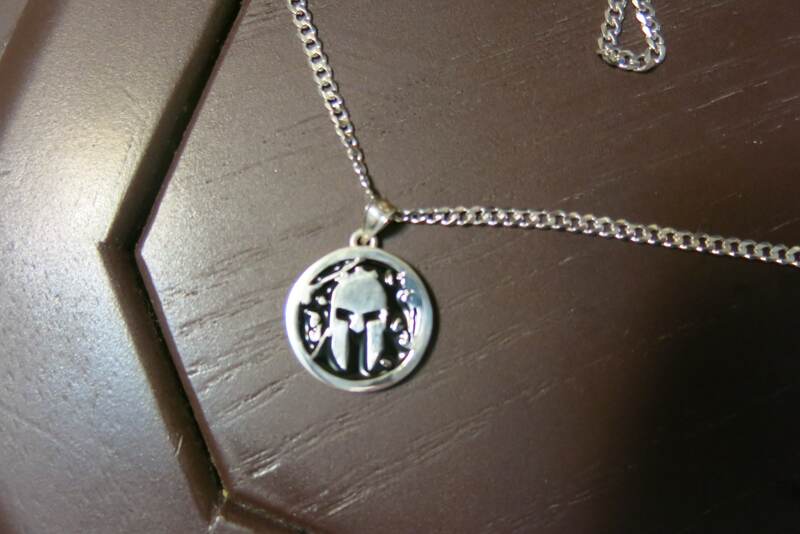 Click HERE to learn more about custom jewelry, to see our portfolio, or to contact us about your Spartan Challenge Necklace. It can cost less than you think to have your very own custom pendant made just for you.